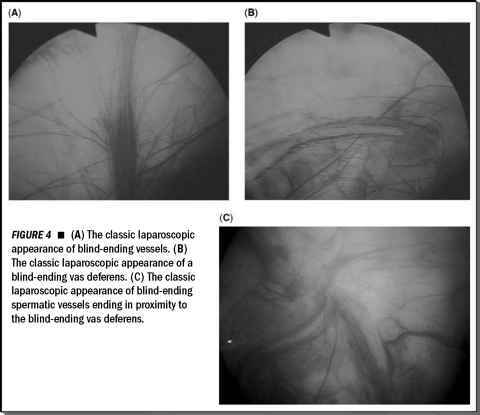 Definitive management of the symptomatic lymphocele, following renal transplantation or pelvic lymph node dissection for prostate cancer, consists of surgical deroofing (marsu-pialization) and intraperitoneal drainage of the lymphocele. Percutaneous drainage and sclerotherapy is a suboptimal treatment because of high-recurrence rates and risk of infection. Laparosopic lymphocelectomy is an excellent alternative to the conventional open surgical approach, and is considered to be the primary treatment of choice today (40,41). By providing intraoperative real-time information, laproscopic ultrasound precisely guides the surgeon in selecting the safest location for initial laparoscopic entry into the lymphocele cavity, which is the most important step in this surgery. To reduce the risk of complication, the use of laparoscopic (or intraoperative percutaneous) ultrasound is an essential adjunct, especially in the more complex, dif-ficult-to-identify lympocele (small; deep within the pelvis; and posterior, caudal, or medial to a renal allograft). ultrasound precisely localizes the lymphocele cavity and identifies its proximity to vital structures such as the iliac vessels, allograft, bowel, native ureters, and bladder (41-44).